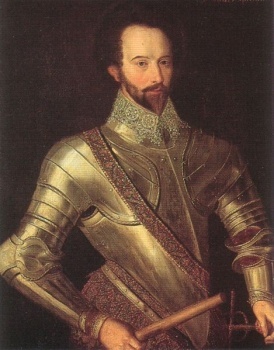 It was Sir Walter Raleigh who got me started on the garden of gold (I am always chasing Sir Walter and his moonbow). His 1595 voyage to South America in hopes of finding El Dorado and regaining the favor of Elizabeth I, his ‘Cynthia’, was disastrous: he found no gold, his eldest son Wat was killed, and upon his return he was accused of fraud in overstating the voyage’s prospects, a charge that eventually led to his execution. He knew it might happen; knew that he was in danger as soon as he stepped onto English shores and so composed as masterful a document of spin as any political party ever used to torque a bad election result. Like Eldorado itself, it is a myth grown large in the retelling, but one that is nonetheless based in fact. There WAS a Garden of Gold. 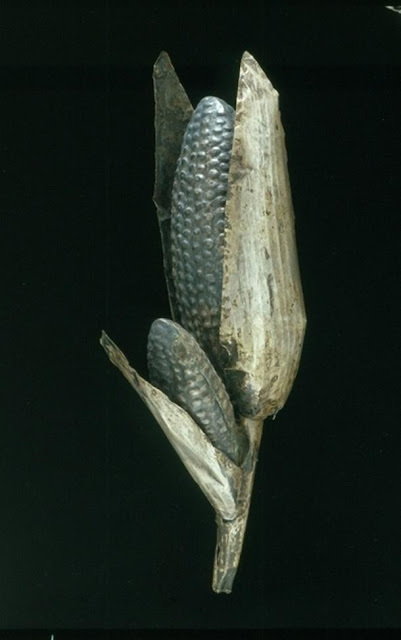 At Coricancha, the sacred precinct of the Incan capital Cuzco, grew a supremely artificial and precious garden that honored not a decorative landscape tradition but a productive one: the cultivation of maize. "Away from the room where the Sun was wont to sleep they made a small field, which was much like a large one, where at the proper season they sowed maize. They sprinkled it by hand with water brought on purpose for the Sun. And at the time when they celebrated their festivals, which was three times a year, that is when they sowed the crops, when they harvested them, and when they made orejones; they filled this garden with cornstalks made of gold having their ears and leaves very much like natural maize all made of very fine gold which they had kept in order to place them here at these times." And the enclosing garden wall was covered with a band of gold all around its perimeter, to reflect the sun. de la Vega's mention of the convent is telling; it is likely around the time of its establishment (c. 1571) that the garden disappeared into the yawning, insatiable maws of the Spanish galleons. So in fact, the garden of gold was already gone by the time Raleigh penned his apologia. As with all great troves, there are of course rumors that it was buried, that it was hidden, that it might still be found. But for now only a few stalks of maize remain. Absolutely fascinating! While I am generally not one for artificial plants, this certainly speaks volumes about the appreciation the Incas must have had for the cultivated landscape.